Home / GOVERNMENT/POLITICS / Opinion/Editorial / How Much Does Buhari Know About Governance? 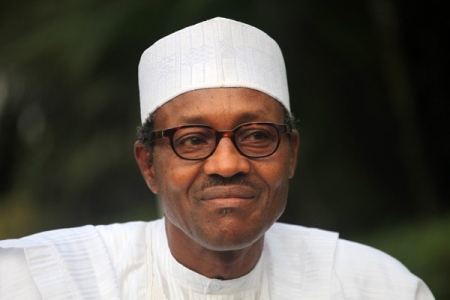 How Much Does Buhari Know About Governance? This is just one of the several quotes that drive me to sleep with worries whenever I ponder on the sorry plight of the people in a 'blessed' country like Nigeria. Each time I take a tour around the mega city called Lagos which is the commercial capital of Nigeria, I feel for the fate of my people due to the undeserved deplorable conditions of living and the blind struggle for the scarce economic resources. It is still the same feeling whenever I visit Ibadan, the capital of Oyo state which is the largest city in West Africa with a landmass and capacity for economic development and prosperity of its people. The feeling was worse when I visited the northern part of Nigeria for my National Youth Service Programme in Bauchi state in the year 2010 where I stayed briefly. I observed the wide gap between the rich and the poor. I saw a great country under the shackles of the 'Resource Curse' theory; the paradox of plenty. I saw groups of children aimlessly parading around and begging for meals day in day out with no plan for formal education to brighten their future. They were the Almajiris. They loved their leaders; they adored and worshiped their leaders due to the teachings of Islam where the hierarchy of leadership is highly respected. This enhanced the massive success of the indirect rule system in the north as instituted by the British colonialist, Frederick Lugard in 1899. The economic disparity between the leaders and the people is too wide that the leaders who are supposed to represent their interests in government seem far away even when physically close to them. It was disheartening enough to learn that some folks in a country that is the largest producer of oil in Africa and the 6th largest producer in world have embraced the mentality of poverty as their fate while it is their destiny to beg the privileged class for survival. Every day, what I see is a clear manifestation of the dependency theory in Nigeria. Just like the book written by Walter Rodney titled ''How Europe Underdeveloped Africa'', the major reason why poverty in Nigeria is over 60 percent is the same reason why some public office holders or former public office holders are extremely affluent. I am sure it was on this note that Vice President Yemi Osinbajo reiterated that over 110 million Nigerians live below poverty line despite the policies of past administrations to improve their welfare. Our leaders have lived off the resources of the state at the expense of the well-being of the people. The only viable project they have constructed is a conduit pipe to siphon the commonwealth for their private interests. Everybody sees politics as a gateway to wealth rather than an opportunity to serve. Politicians see their offices as their golden chance to rewrite their own destinies as well as their entire generation at the costly expense of the large population forging ahead in life without a direction. In Nigeria today, our hopes are put in religious institutions. This has led to believers becoming victims of fake native doctors, prophets, pastors and Alfas as they tackle economic issues spiritually. The religious gathering is where we all find solace as the thoughts of our progress and mapping out of life plans in consideration of the lack of enabling grounds in Nigeria makes it illogical. The sight of the light at the end of the tunnel is beyond our vision, hence the need for supernatural eyes and aid. This is what the Nigerian society blessed with both natural, human resources and a safe ecological environment devoid of natural disasters has turned to. This affirms the perception of Karl Max that religion is the opium of the masses. Have you ever asked yourself why the Nigerian society shows apathy towards politics? It’s simply because of the past experiences of neglect and failed promises by our leaders. Nigerians painstakingly provide the basic amenities for themselves which is the responsibility of the government. When the price of oil at the international market was at its peak, our leaders were romantically engaged in filling their barns with our 'yams'. They were saving against their exit from power and capital projects were made to suffer. At several economic forums, our leaders were begged to diversify the economy from over-dependence on oil which accounts for 70% of our government's revenue and 95% of our export earnings. The implication of this is that a mono-cultural economy like ours will experience a recession with the success of the research by top countries in solar energy as they work towards an alternative to oil. I salute the achievements of former President Goodluck Ebele Jonathan in the area of agriculture and I wish President Muhammadu Buhari could collect the baton from him and finish the race gracefully. Today, tables seem to have turned with oil selling below $30 per barrel. Nigeria expends $25 dollars at the oil fields to produce a barrel of oil which is sold for just $29 dollars at the international market thereby making a profit of just $4 dollars as against when a barrel was sold for $110. Nigeria is also currently faced with stiff competition with oil producers like Angola and Iran in the international market. The United States of America which is the second largest buyer of our oil after China have decided to trade with Iran after the economic sanction was lifted and reports have it that South Africa will follow suit. In November, 2015, the Governor of Osun state, Ogbeni Rauf Aregbesola while making a reference to the dwindling Federal Government revenue allocations to the state and his cash-strapped administration revealed that about 34 million barrels of Nigerian crude oil were on the high seas without buyers. These are all indicators of an economic doom. With my knowledge of elementary economics during my Secondary school days where I was taught the basic differences between private and public administrative systems, I learned about the issue of job security at the public sector as against the private sector. But today, there is a change in the status quo as the state governments have started competing with commercial banks and other private establishments in the sack race. Even when they state governments keep the workers employed, they are virtually unemployed in the real sense as they can't pay their salaries. This erodes the dignity of labour and productivity. A vivid example is Governor Rochas Ewele Okorocha of Imo state who recently laid-off 3,000 workers. This ill-treat of civil servants has a contagious effect on the private sector as business owners now emulate the antics of the governors in unduly delaying the salaries of workers and also sacking them at will. Most Nigerian youths are currently dreaming of working for multinational firms as that is the only pedestal that guarantees the enabling working conditions and adequate welfare services. On this note, the masses are made to pay for the ‘sweet sins’ of their leaders like I termed the removal of fuel subsidy of the Goodluck Jonathan administration in the year 2012. The arms deal gate which is just one of several corrupt cases to be visited or already ongoing e.g. NNPC fraud, pension scam, Halliburton case, CCTV project, Power project scam, NIMASA fraud, NNDC fraud, oil subsidy scam, N5.2 billion aviation scam etc. shows the inhumane nature of our leaders. The mode of which huge and unimaginable amounts are being mentioned could give a poor man incurable health implications. Someone jokingly said the People's Democratic Party would have hit the landmark of corruption by eventually selling Nigeria to China or maybe a conglomerate of some powerful businessmen in the class of Aliko Dangote, Femi Otedola, Mike Adenuga, Ifeanyi Ubah and then share the proceeds if Goodluck Ebele Jonathan had won the presidential election in 2015. I wish I could elucidate more on the menace of corruption and poverty in Nigeria but I need to establish my major purpose of writing this piece which is relating it with the governance of President Muhammadu Buhari thus far. From my personal intellectual observation of the 7-month old administration, keeping the campaign promises aside which is conventionally full of diplomatic promises; its crystal-clear Buhari sees the Nigerian problem solely from the perspective of corruption. I don't regard Buhari as that president that will attend economic forums and get applause from his analysis of stringent economical issues like his Vice President, Professor Yemi Osinbajo has always done. Nigeria boasts of the best heads occupying top positions in the country. Leaders who have both local and international exposures. They have intimidating resumes which is evident on their numerous and lengthy Wikipedia pages. The ministerial screening process in year 2015 was an eye-opener to the quality of human resources we possess. The senators had to only highlight some of the numerous achievements on their resumes which were almost amounting to school hand-outs to save time. Some of them have spent over two decades abroad occupying enviable positions in the outside world with 'unnecessary' academic qualifications. But how come they don't replicate their rich experiences with results towards the betterment Nigeria? It’s like their orientation switches from positive to negative when issues of their motherland is involved. During my Masters Degree days at the University of Ibadan, I observed all the lecturers criticised the Nigerian government with passion. Their heads were full of ideas and solutions to the problems. I started wondering why the nation is yet to tap into their wealth of knowledge. On a fateful lecture day, one of my lecturers, Dr E.U Idachaba raised the poor performance of academics in public positions. According to him, he questioned a prominent professor for abandoning his values when he was given a political appointment and his response was that the 'setting' was different and most of the theoretical values advocated are not practicable. Yes, they will never be practicable when the governmental structures don't exist for the general will of the people but selfish interests of a few. Any newbie with progressive intent joins and is forced to conform to the decaying system ridden with corruption in order to stay in office. About N8 trillion is said to be missing under the administration of former President Olusegun Obasanjo alone. Additionally, the Minister of Information and culture, Lai Mohammed alleged that N1.3 Trillion was shared by only 55 people in 7 years between 2006 and 2013. These mind-boggling figures are just the highlights of the incalculable corruption cases in Nigeria which extents as deep as the grassroots too. Picture these funds being heavily invested in capital projects; I am sure Nigeria would have been a strong attraction to foreign investors who would have solved the problem of unemployment indirectly. Again, corruption in high places has a contagious effect on the Nigerian populace as everyone who reads these cases in the media develops an unprecedented hunger for wealth using every available resource and making reference to the so called leaders at the top in defence of his actions. It was on this note that the Bishop of Catholic Diocese in Sokoto in the person, Matthew Kukah stated during an annual programme on the Independence Day in 2015 titled ''The Platform'' which was organised by the Covenant Christian Centre in Lagos that minimum demands of moral conducts and probity must be made from our representatives. "As Nigerians, we must ask ourselves what drives corruption. According to Kukah, when any corrupt official is nabbed no matter his cadre, he confidently makes reference to his superior who is also engaged in a similar act on a higher scale and the list increases from there on the basis of excuses on the hierarchy of corruption. I can categorically assert that this anti-graft campaign is solely President Muhammadu Buhari's initiative which has not been fully imbibed by his fellow progressives who still believe in the Nigerian retrogressive culture of ''Work-shop'' (You 'eat' where you work). If corruption isn't our major problem, they how can you explain the strong allegations levelled on the former governor of Lagos state, Raji Fashola using N78 million to build his personal website and also N139 million to sink two boreholes? He is a Senior Advocate of Nigeria whose years of practice spans over 20 years and he had the temerity to tell the senate that he isn't trained in figures and doesn't sign cheques during his ministerial screening process. A probe will surely expose more staggering details. What about the former Governor of Ekiti state, Kayode Fayemi? A PhD holder in War studies allegedly using N3.3 billion to build a government house which isn't a tourist centre to attract foreign exchange and then buying two beds for N25 million each. If true, I am sure that bed heals the sick. Furthermore, the breakdown of the 2016 national budget shows the allocation of N795 million for the upgrade of the website of the Ministry of Solid Minerals which he heads. It breaks the heart when you relate this to the fact that our budget will be financed by massive borrowing from international financial institutions. Former Governor Godswill Akpabio is undoubtedly one of the best performing governors during his 8-year spell. He is well-spoken about by his people in Lagos. He spent N30 billion erecting a hospital only for him to boycott the 'world class' hospital to get treated in the United Kingdom after his accident in Abuja last year, 2015. I am full of admiration of Professor Maurice Iwu, his academic achievements seem herculean. Most of us applauded his appointment as the chairman of the Independent National Electoral Commission during the administration of former President, Olusegun Obasanjo but how come the elections he organised weren't free and fair? Remember the late President Musa Yar'dua dramatically admitted the electoral process that ushered him to power was 'questionable'. What a rare truth! How do you explain the imprisoned James Ibori's £250 million worth of assets made off the state? Strong rumours have it that a certain South-South governor has $7.2 billion, 23 luxury estates and 17 shopping malls in Dubai and is currently having problems selling them off before the long arm of Buhari grabs him. Do you know on the 14th of August, 2015; the Adamawa state government through Abdurahman Jimeta, the Chief of Staff to the Adamawa governor, announced it had earmarked a whooping sum of N200 million for 'prayer warriors' against Boko Haram? This is what happens when you have fully exhausted all the loopholes of mismanaging the sweat of tax payers. The list seems endless. Invariably, every ministry, department or agency in Nigeria has one 'shark' that is gulping a large chunk of state resources as food on a daily basis while others starve on crumbs. Our major problem in Nigeria lies in the will to pursue the right cause. The state shouldn't be seen as a business enterprise. This accounts for the reason why Nigerians chose a secondary school certificate holder who is far spent over a PhD holder with many promising years ahead to be the number one citizen which is supposed to be an anomaly if I must not be economical with the gospel truth. Buhari's poor and highly debated 2016 national budget depicts the locational concentration of all his efforts which is on his 'one point agenda'. Political corruption needs to be given the proactive approach Nigeria gave to the Ebola outbreak of 2014. It’s time to 'trace contacts' no matter their hiding places. The record of the Economic and Financial Crimes Commission concluding only 7 high-profile cases in a space of 13 years of existence depicts the strength of the 'yam eaters' who are virtually the government. In summary, corruption needs to be tackled to allow for the manifestation of capital projects without the hindrance of looting. It should be tackled to change the orientation of Nigerians especially the youths and win the loyalty of citizens towards the state. Corruption shouldn’t be encouraged as it’s a degenerate of disturbing crimes like terrorism, militancy, kidnapping, armed robbery, ritual killings, election violence and several others battling Nigeria till date. The underdevelopment status of the country initiated by corruption has led to brain-drain as the best heads in the country as discouraged from investing their ideas and business acumen in the country and they emigrate for better conditions of living abroad. With continued corrupt practices in the face of the fall of oil prices, the sovereignty of Nigeria is currently endangered as international financial institutions like the International Monetary Fund and World Bank will lure Nigeria into incompatible borrowing terms like the Structural Adjustment Programme which may affect the well-being of the masses. Corruption also goes hand in hand with poverty which has become a hard nut to crack by different administrations in Nigeria; hence the need to kill corruption before it kills Nigeria and a host of other reasons. I urge the Nigerian masses and elites to form a formidable force and enjoy how the anti-corruption campaign plays out. Buhari's perceived one point agenda is a step in the right direction.